Graphite pencil on Canson Classic Cream 90lb Acid Free Paper 11 X 14. 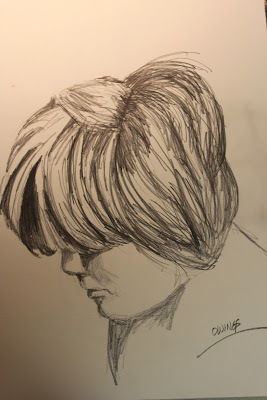 This is a simple graphite sketch. Took me about 30 minutes to complete this drawing.